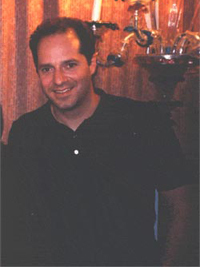 Peter Oliva is best known for his novels: Drowning in Darkness (1993) and The City of Yes (2000). He was raised in Calgary, Alberta, and his family also lived in Italy. He holds a Master of Arts in English Literature from the University of Calgary and has also studied Italian, Japanese and French. He worked in Japan as an English teacher for two years, and returned to Canada for the publication of his first novel, Drowning in Darkness, in 1993. In 1994 he opened a Calgary bookstore, called Pages on Kensington, where he ran a successful reading series and hosted author events for six years before selling the bookstore in 2000. Visiting authors included Yevgeny Yevtushenko, Louis de Bernieres, Alberto Manguel, Robertson Davies, Mordecai Richler, Timothy Findley, David Adams Richards, Margaret Atwood, Paul Quarrington, John Ralston Saul, Rohinton Mistry, Douglas Coupland, and many others. He won the Bookseller of Year Award by the C.B.A. in 1999. In 1999, Oliva was Writer-in-Residence in Calgary’s Markin-Flanagan Distinguished Writers Programme with Alberto Manguel. He was a founding organizer of Wordfest (a festival of the written word), Poetry in Motion (a program that puts poetry on Calgary’s buses and C-trains), and ExLibris (a library reading series). He is still very active in the writing community, and presently chairs Poetry in Motion. In 2004 he was elected president of the Association of Italian-Canadian Writers. He has mentored many students both at the University of Calgary and at the Banff Centre for the Arts. He writes for numerous publications and lives in Calgary with his wife, Anita. Writers Trust of Canada Fiction Prize, for The City of Yes, 2000. Georges Bugnet Award for The City of Yes, Writers Guild of Alberta 2000. Canadian Booksellers Association Award, Bookseller of the Year, 1999. Profiled as one of Canadas Fifteen Writers to Watch, 1995 (chosen by Southam book editors from Vancouver to Halifax). Certificate of Merit, for catching a fleeing murderer, Vancouver Police, 1993. A.T.J. Cairns Memorial Scholarship, U of C, 1989. Calgary Herald Short Story contest winner, runner-up, 1987.